Dr. Cherry is a graduate of the Medical College of Virginia School of Dentistry and has over 20 years experience in family practice dentistry in Williamsburg. He is a staff member of Sentara General Hospital and a member of the Peninsula Dental Society, the Virginia Dental Association, the American Dental Association, the Pierre Fauchaud Academy and a Fellow of the Academy of General Dentistry of the Virginia Dental Association. 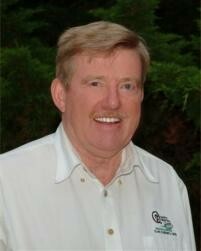 Dr. Cherry also volunteers his time and service to Olde Towne Dental Clinic. As an avid bike rider, Dr. Cherry enjoys spending his spare time riding on the Colonial Parkway. Dr. Cherry's staff is involved in continuing education in order to provide the highest quality of professional dental care possible. His entire staff is CPR certified and has a combined dental experience of over 86 years. Cindy is originally from Louisiana. She has more than 32 years of dental experience and has worked for Dr. Cherry for over 17 years. Nyree has been a dental assistant for six years. She joined Dr. Cherry’s practice in 2012. Nyree enjoys helping people to restore their smiles through dental implants and cosmetic dentistry. When she's not working, she loves spending time with her son. Fran strives to make our office a pleasant place to visit. She enjoys helping our patients with any questions they may have concerning billing or insurance. If Fran doesn’t have the answers she will work to find them for you. Fran has worked with Dr. Cherry for 9 years.